12 cards, 12 matching envelopes, 12 jujus, 12 mini envelopes packaged in clear box. 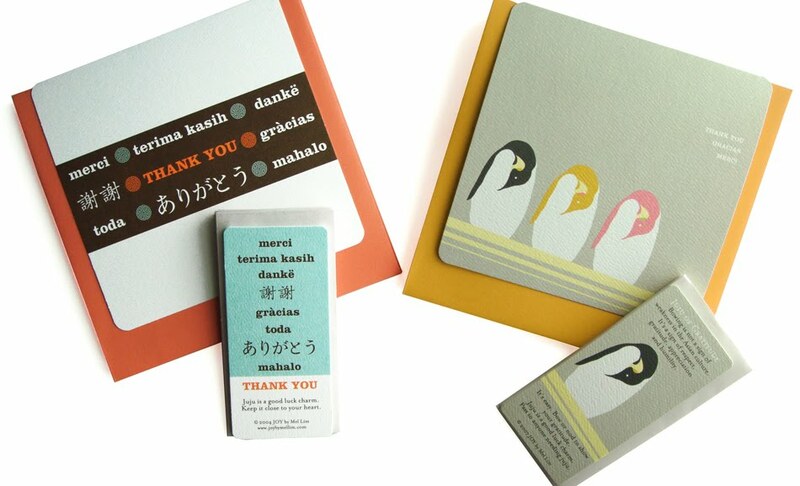 Jujus can be used as mini greeting cards or gift tags. Boxed set comes with 2 designs (6 per design).